In the summer of 1918 as civil war raged across Russia following Lenin's seizure of power, the deposed Tsar and his family were imprisoned at Ekaterinburg in the Urals. On 16th July they were massacred and buried secretly in the forests. 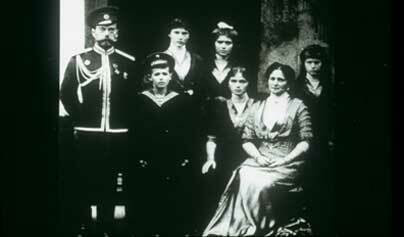 Almost immediately, rumours sprang up that not all the imperial family were dead and in 1920, a woman claiming to be the Grand-Duchess Anastasia appeared in Germany demanding to inherit the Romanov fortune. Only recently has evidence been found which finally settles the matter.